Twins: 9 month twin boys Sawyer and Weston. 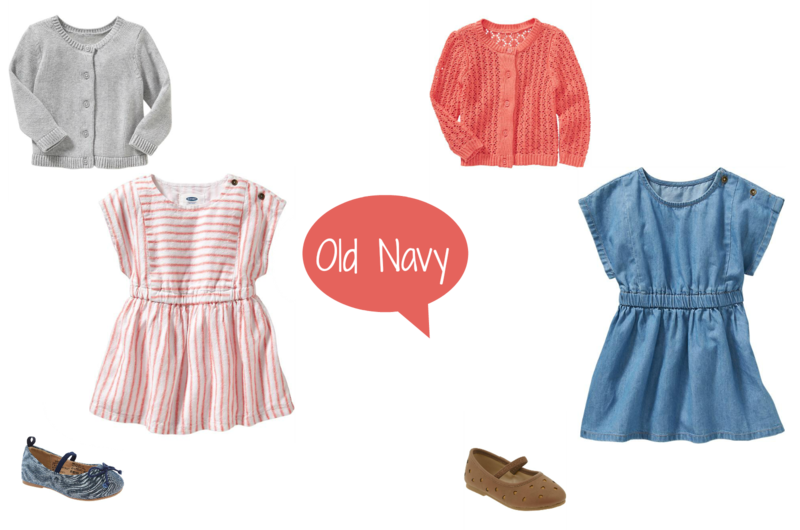 Favorite stores: Carters, Children's place, and Old Navy. I like to keep them casual, but cute. It's easy to go extreme with either super cutesy clothes, or little old man clothes. I try to find a happy medium. Afterall, they are only little once! I like them to coordinate, not necessarily match all the time. 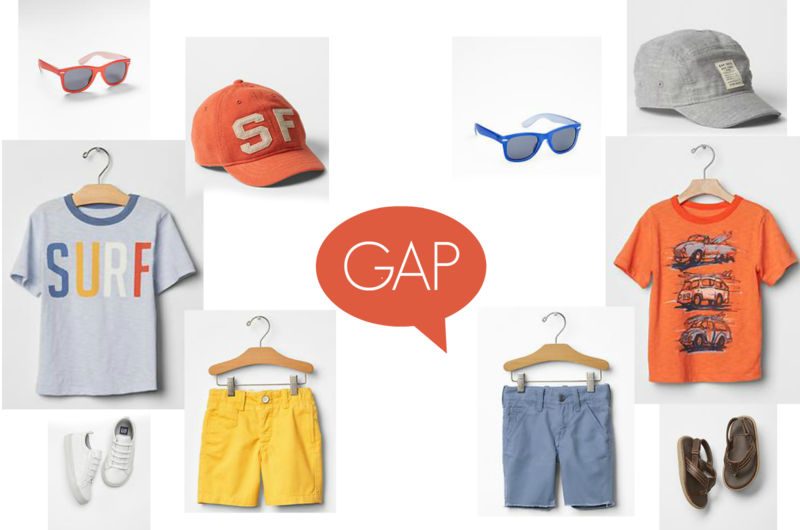 Favorite Stores: Gap, H&M and local surf shops. We spend lots of time at the beach so many of our outfits reflect that. I am originally from New York but now live in Southern California so my East Coast style preferences come through quite a bit in how I dress my twins. I love a mix of casual and preppy and love unique items, which is why H&M is one of my favorites. I love to match my twins but as they get older I am enjoying doing coordinated outfits. Twins: Diego and Josiah, age 2. 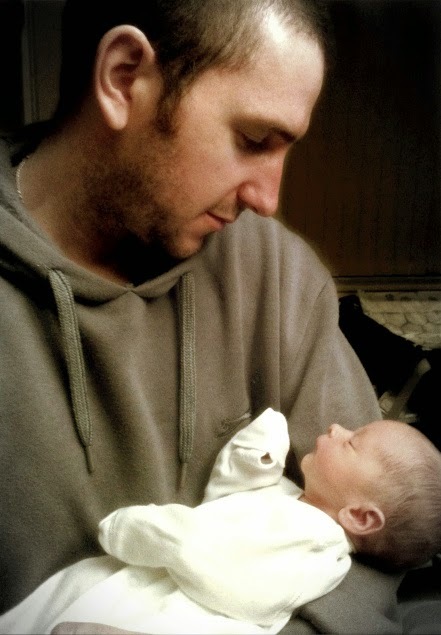 They were born on Valentine’s Day. Favorite Stores: My favorite stores to shop at are: Gap, Janie and Jack, Old Navy, H&M, Zara, CrewCuts, Ralph Lauren Polo, and Target. I love to dress my boys like little gentlemen, their style is modern preppy unless their at home they are dressed like little bums hahaha! I love fashion and if I don’t love something that will coordinate with each other I will end up dressing them the same. I will normally do the same print short and different color tops like the example below. 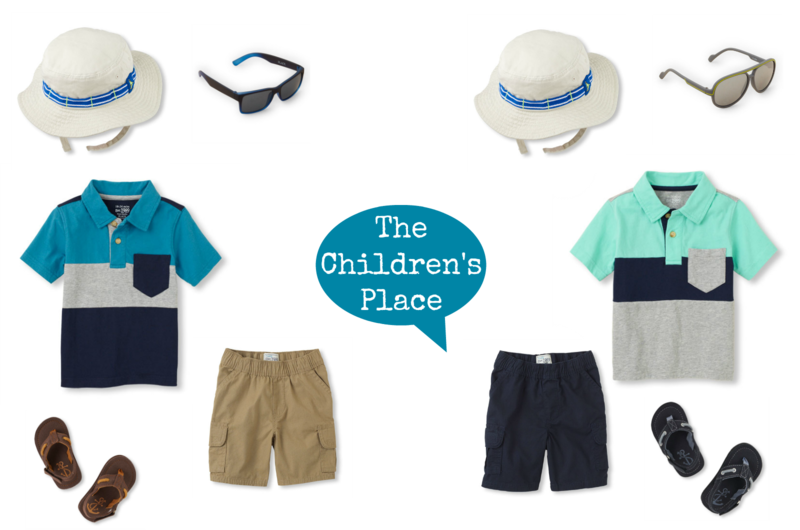 If I am lucky I can find the same patterned top and solid short and vice versa on the other boy same patterned short and solid top… for example: a seersucker top with solid short and solid shirt with seersucker shorts. I try not to put them in exactly the same outfit because most people can't tell them apart. I have such a great time dressing them and love the hunt for good deals and cute clothes. Especially since that can be very hard to find with boys! The outfits I put together are from Zara and coordinate, as usual. Zara has great affordable "basics" that can withstand the wear and tear of my very active boys! 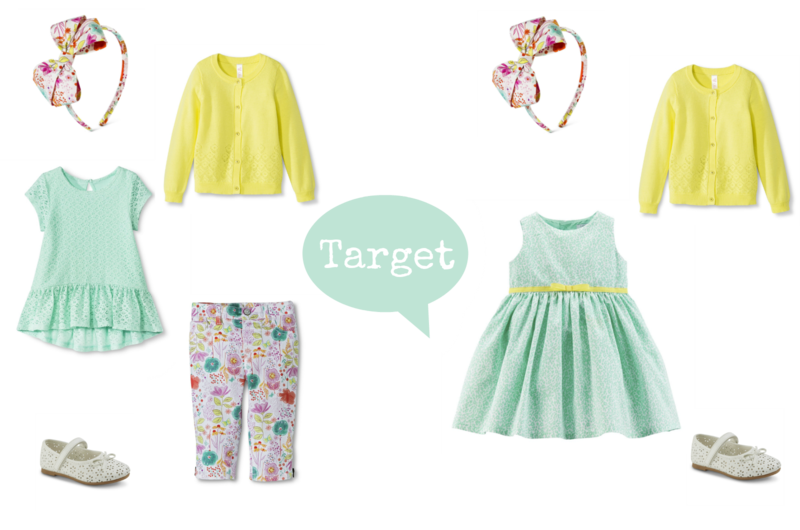 CLICK HERE to see Spring Fashion for G/G twins! In September it was all about fall fashion for B/G, B/B, and G/G twins. Now that spring is HERE, I thought it'd be fun to do it again. 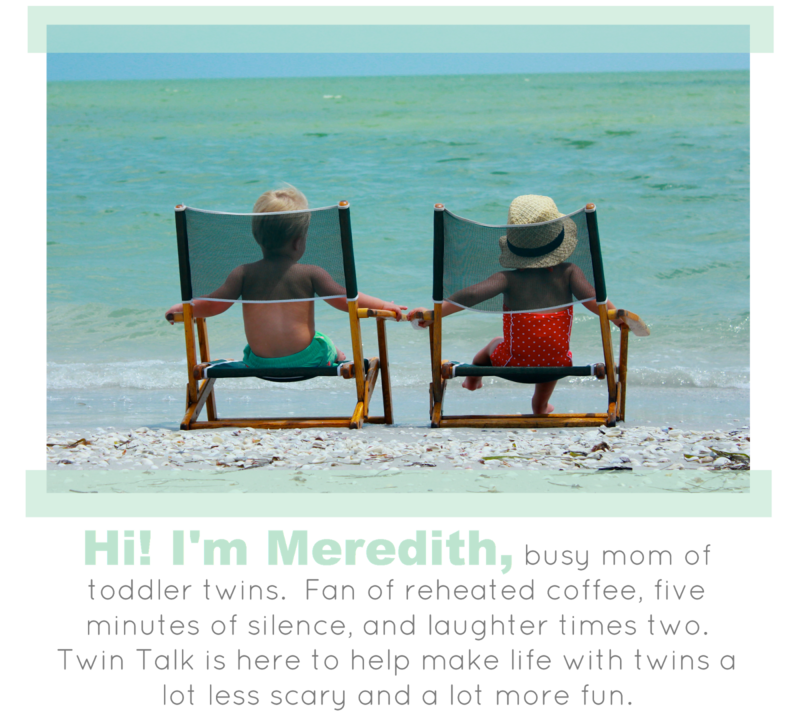 As always, There are a few rules: Each B/G twin mom had to choose a different store and absolutely every piece has to come from that store. Head to toe. 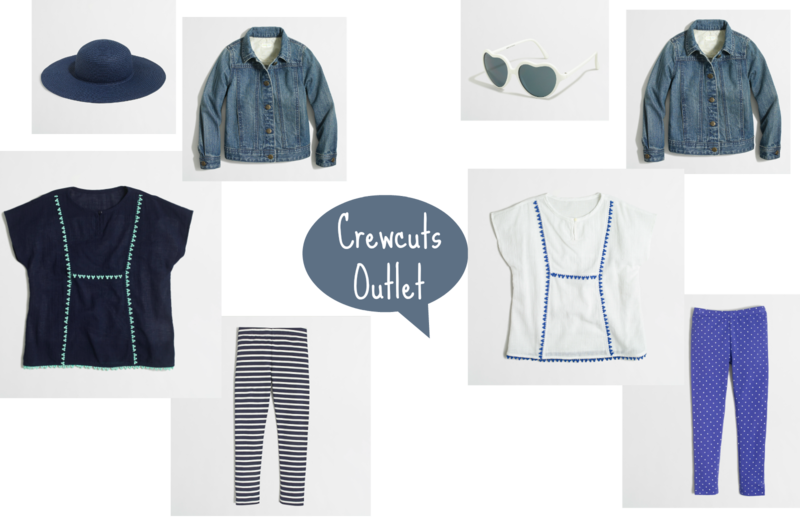 Moms don't have a lot of time to shop at several stores or spend hours scouring the internet, so my hope is we could show you some great coordinated looks that require one quick stop or only one shipping fee (because, let's be honest, shipping fees are THE WORST). Typically when it comes to dressing the twins, I stick with the classics. I love outfitting Caroline in girly, bright dresses and always pair it with a matching bow. Anything with eyelet or a moderate ruffle catches my eye for my sweet Caroline. Will usually sports a polo or fun graphic tee with khakis. To have a little more fun in the spring, I look for solid spring color shorts. Will definitely rocked some yellow, light blue, and green shorts last spring. I don't always shop with the intention of finding coordinated outfits, I usually just buy what I love for each kid and then figure out the coordination later. 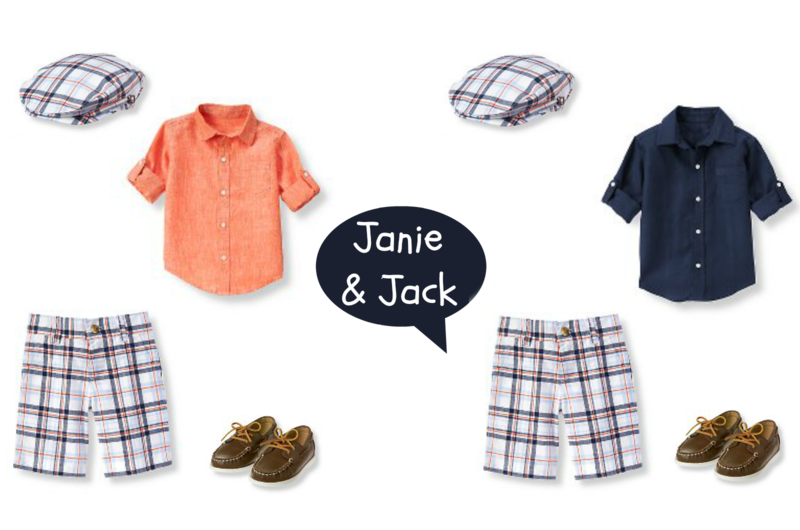 If I am specifically looking for coordinated outfits, I love shopping at Janie and Jack and Gymboree because they do the work for you! They always have matching boy/girl collections. How easy does that make it? When it comes to my twin's style I love to make Giada look like a mini fashionista and Nathaniel look like a little man. Now, if I could only get my husband to agree to wear a matching outfit with him! Giada is a brand rep for a headband shop (A Darling Bowtique) so I like to think we have the best headband collection around! I love to put her in fun printed pants (think animal print!) and I die anytime Nathaniel is in a pair of baby jeans. 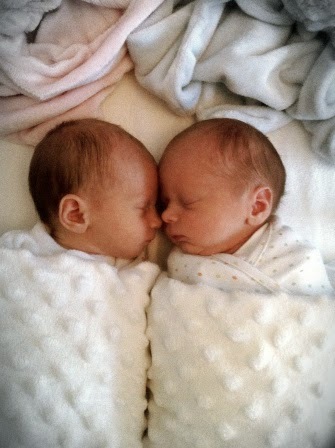 For special occasions I love to have them coordinate (one of the best parts of having B/G twins! ), but for everyday wear they get to do their own thing! I LOVE shopping for my kids. I have become more of an online shopper now that I have twins (which I'm sure all you mamas can relate too) I love neutral colours for both boys and girls. I dress them mainly in plain everything. Plain, tees with jeans, or leggings. I actually had all of these items in my shopping bag already and added a few pops of colour for spring! I live in Canada so our "spring" isn't always warm so I layer to make sure I cover all my bases! 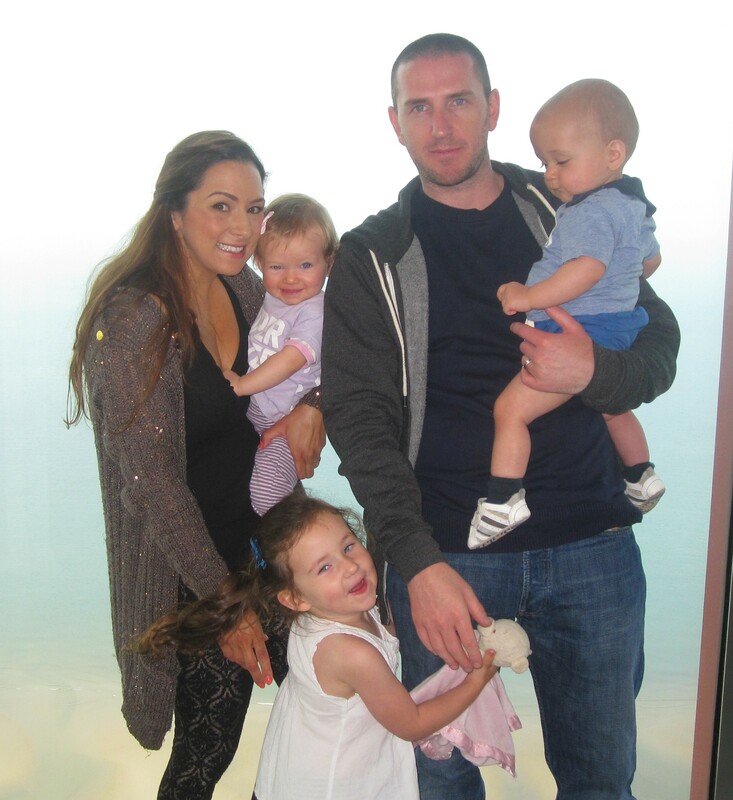 Deacon and Aniston are 14 month old boy/girl twins living in Long Beach, Ca. 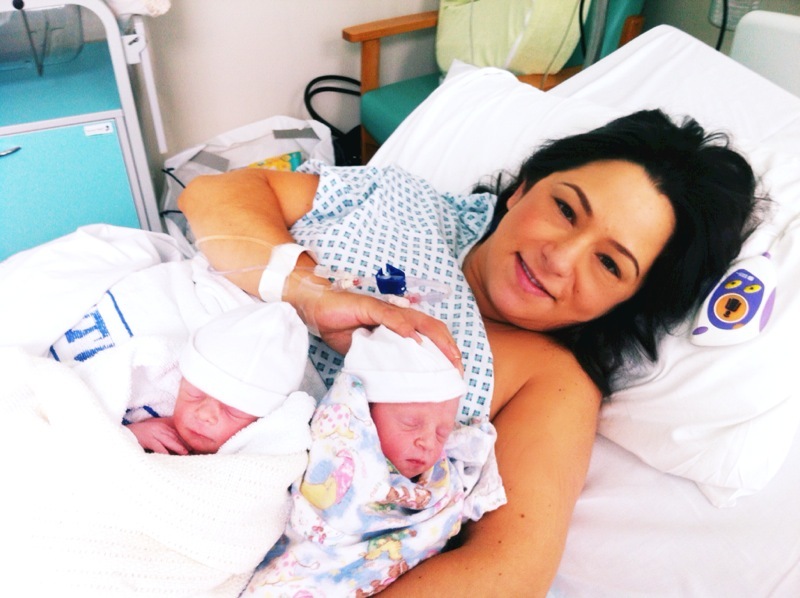 They were born January 3, 2014! Being California babes (where seasons are almost non existent), these twinsies love to portray the seasons in their clothing. For spring their mommy has purchased a lot of floral prints with fun colors. This is perfect for park play dates and picnics!! Deacon and Aniston can usually be found in at least one clothing piece or accessory from a small business. 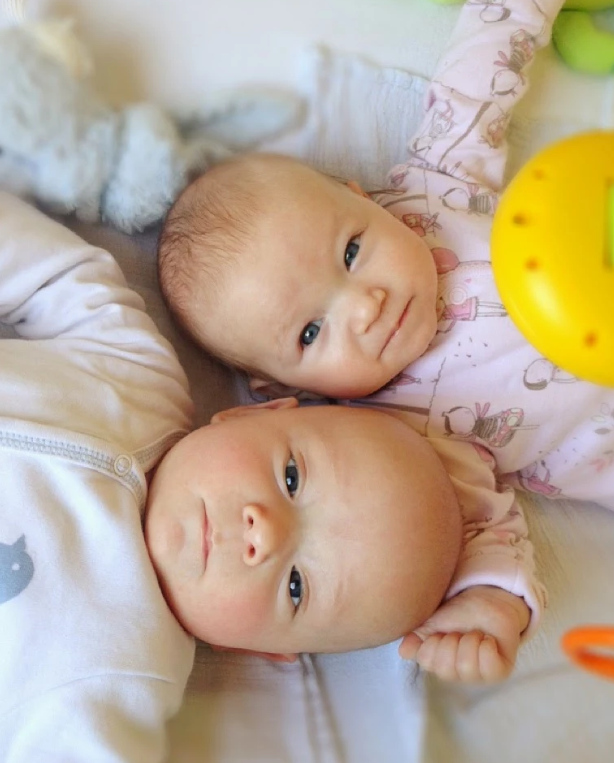 Being that their mommy recently began her own small business adventure on Etsy (Little Lady and Lad), they have always sported something handmade from the time they were born. Some of our favorite small business shops include: Stitches and Soles, Vicarious Clothing, and Positively Oakes. When buying clothes for the twins, their mommy has found that versatility is key! It is always a bonus when a pair of shoes or a top can be worn by either babe. Deacon and Aniston love t-shirts with fun sayings that they can take turns wearing and moccasins that are gender neutral. Getting dressed each day is always a fun adventure for these two! I have to admit, I like dressing my twins alike. I am a sucker for stores that have coordinating boy/girl collections, like Hanna Andersson or Boden. 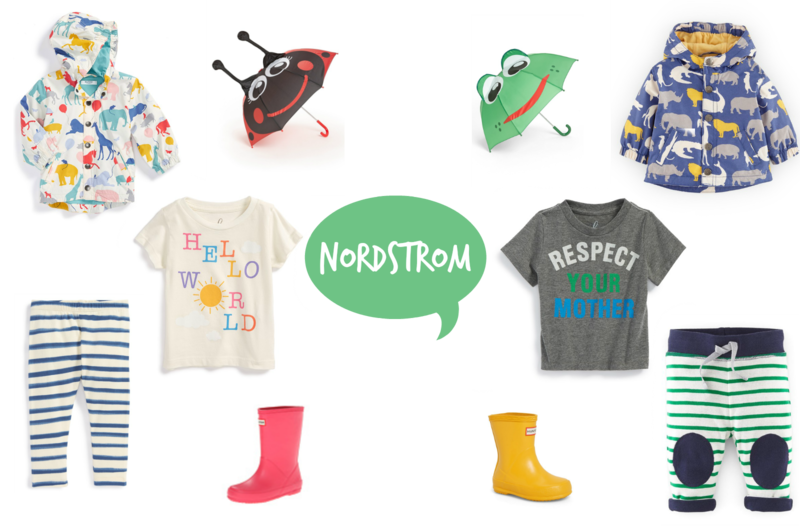 And as a busy mom, I like shopping at places that have a hassle-free return policy and free shipping, like Nordstrom. I like to mix print and patterns in coordinating colors, that way the twins match, but are not exactly the same. When I saw these coordinating raincoats, I knew I had to have them! They are the perfect mix of coordination but not too matchy-matchy.